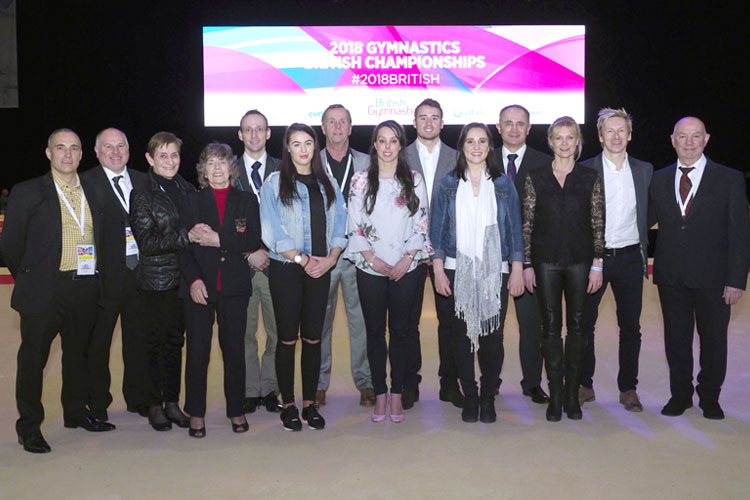 Multiple British Champions were crowned at Echo Arena on the first day of the 2018 Gymnastics British Championships. 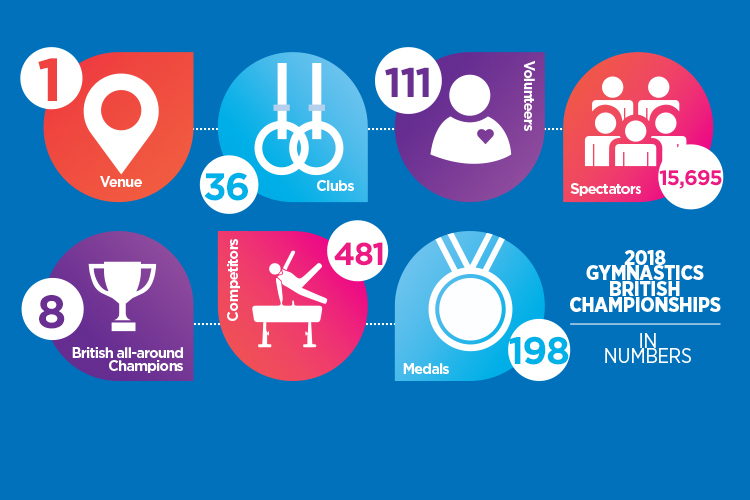 There were plenty of impressive performances across the women’s Espoir (12/13 years), men’s under 12 and under 18 competitions. Heathrow’s Alia Leat took the women’s Espoir event by storm, taking the all-around title with 51.200. 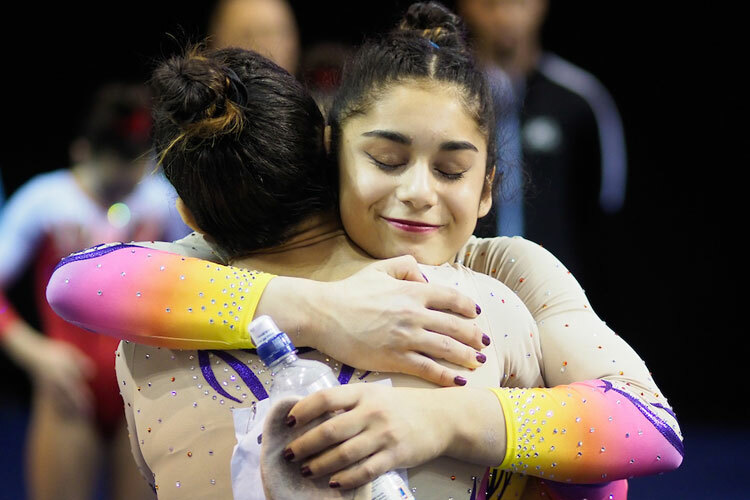 Alia put in four impressive performances across the apparatus, with an extremely solid performance on the beam to score 14.250. Taking all-around silver was Plymouth Swallow’s Ruby Stacey with 50.200 and completing the podium was Greenwich Royals Madeleine Roberts with 48.950. In the men’s under 12 all-around competition, it was the City of Birmingham’s Zion Aserie who took the title with 71.650. Jonas Rushworth from Leeds was hot on his heels with 71.200. Daniel Leighton-Scott completed the podium with 70.500. In the under 18 all-around, Adam Tobin from Falcons took home the gold with an impressive performance and a score of 78.900. Jake Jarman from Huntingdon was just 0.2 behind the gold with 78.700, with Notts’ Pavel Karenejenko grabbing the bronze with a score of 77.900. 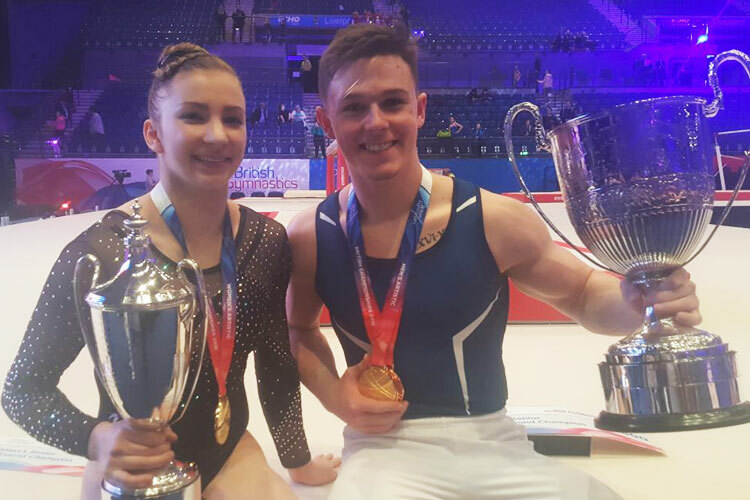 This competition also served as the men’s under 18 apparatus finals. Jake Jarman took the parallel bars title (13.650) with Pavel Karnejenko top on the high bar (13.250). It was also a good day for South Essex’s Hayden Skinner who won the floor (14.500) and vault (14.225) titles. 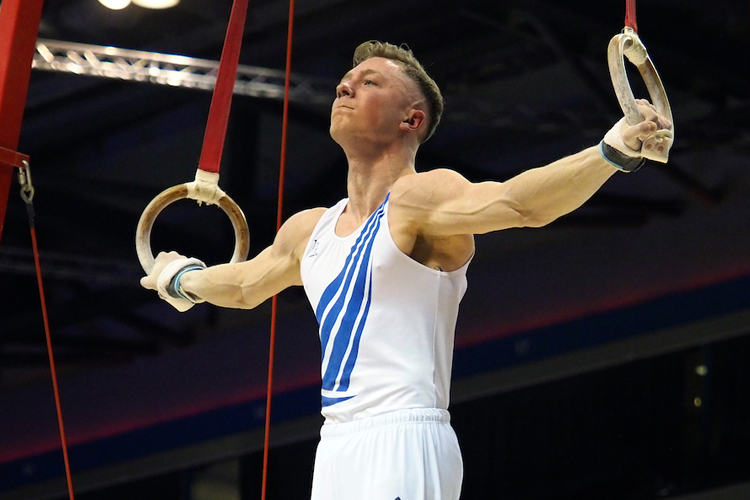 The final titles went to Woking’s Jamie Lewis on the rings (13.700) and pommel horse (12.650). Full results can be found on our dedicated event page. 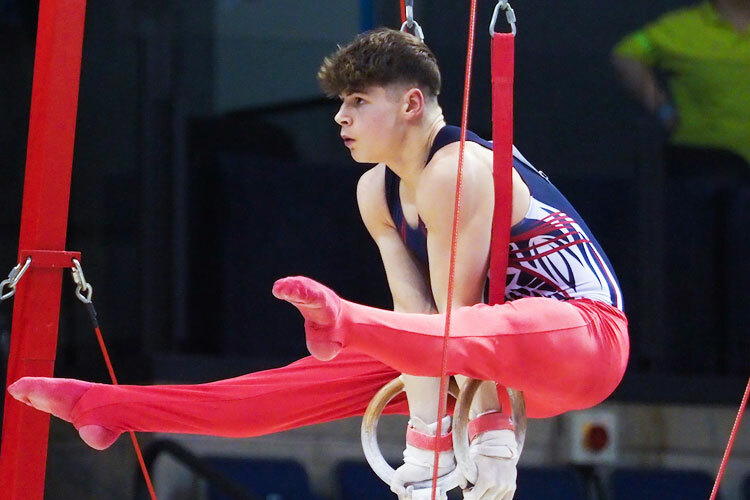 The 2018 Gymnastics British Championships continues tomorrow with the under 14 men’s and junior women’s all-around competitions.